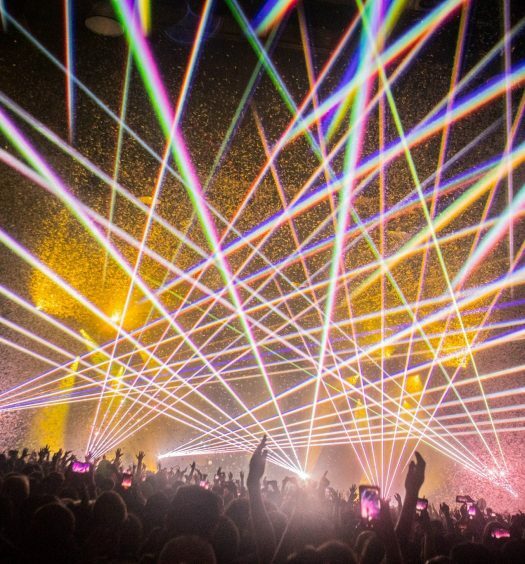 The lineup is stacked, with Bassnectar, STS9, The String Cheese Incident, and many more amazing artists performing. Alongside the artist performances, the festival will include camping, performance art, art installations, and much more. Oregon Eclipse is Symbiosis’ event for 2017. For the past five years, Symbiosis has searched the West Coast for the perfect location for this event and they have chosen the Big Summit Prairie Ranch, which is located in the Ochoco National Forest in Oregon. The ranch features 50,000 acres of rolling hills, wooded groves, a large grassy plain, and a freshwater lake. This location, combined with the total solar eclipse that will occur during the festival, makes Oregon Eclipse a one in a lifetime event. 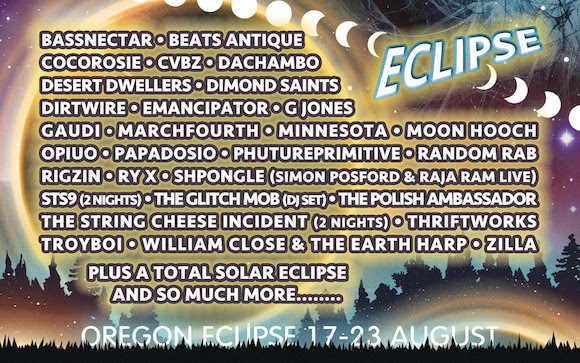 Oregon Eclipse will occur from August 17th to 23rd at the Big Summit Prairie Ranch, which is located two hours from Bend, Oregon. Find more info here.